Winner of six Academy Awards and six BAFTA Awards the film ‘The Hurt Locker’ follows a US Army Explosive Ordnance Disposal team in the Iraq War. It is a well made film with lots of great performances and no doubt hits the western public’s thoughts surrounding the continuing activity that many nations forces are involved in. 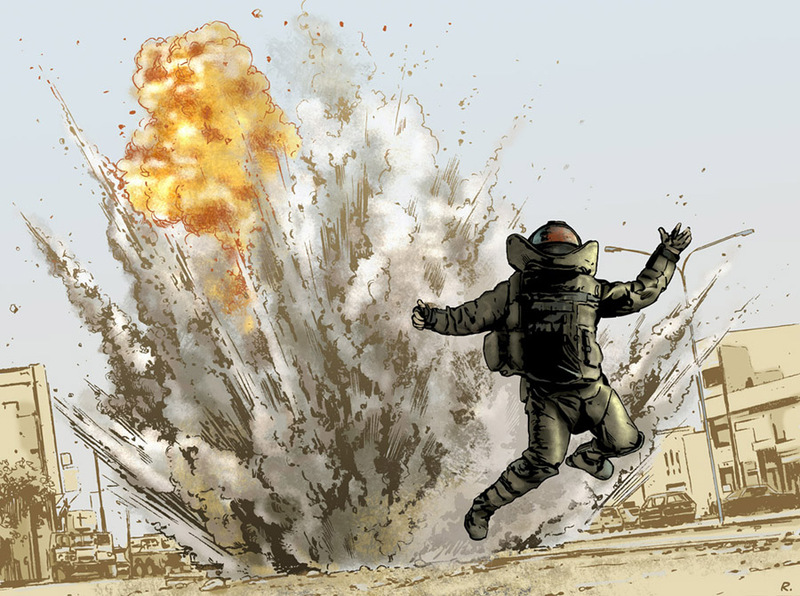 There are some very memorable moments in the film and the opening scene where Staff Sergeant Thompson (Guy Pearce) attempts to set a radio controlled explosion to clear a bomb sets the tone for the whole film.